Such meters can easily and quickly find data about both floating liquids (LNAPL) and sinking ones (DNAPL). 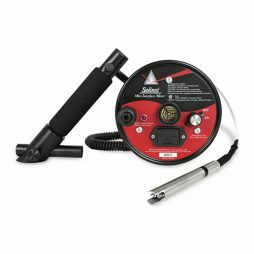 The probes can work in high-pressure conditions (up to 500 psi) and offer a wide choice of tape lengths (30-300 m). 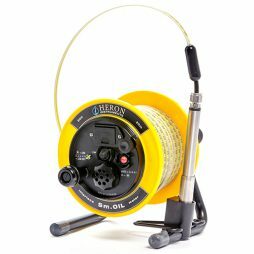 Equipped with different controlling supplements, the probes are very compact and fit perfectly for working in hard-to-reach conditions for example in narrow wells. This model was tested and ratified for explosive surroundings usage. According to the Canadian Standards, they are appropriate for places of high hazard. 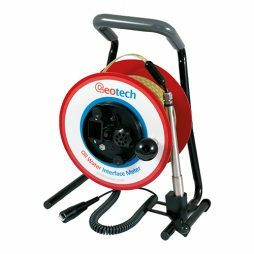 The earthing strap is very important for security while the meter is being used in possibly explosive surroundings. It also guarantees reliable protection of the electronic details. Detecting liquids has a following mechanism, including an IR-beam and sensor: in the moment of touching the surface, the beam refracts from the sensor, and this turns the audio-signal and light on. In case the liquid is an oil or any other kind of liquid, which doesn’t conduct electricity, the signals are not disturbed. If the probe deals with water or other conductive liquid, the circuit is completed and the IR-circuit is then rejected. The signals become unstable. 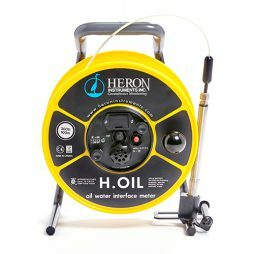 The precision of the detector reaches 1.0 mm, which allows it to find the smallest oil spot. The device can offer 120 hours of working without charging the 9v battery, serving as the energy source, distinct signals and extreme level of precision. This is provided by perfect aligning of the detectors. The protection is performed by the shield made of stainless steel, which can be removed to allow cleaning. 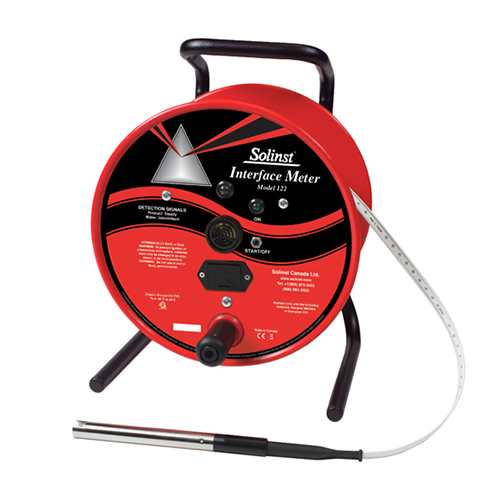 This model is equipped with a 16 mm P8 Probe, able to stand against high pressures. The tip, which emits the light, has a reliable protection – a shield. The tape is perfectly precise with its laser markings and is produced according to NIST and EU norms. The tape prevents adhering to wet walls. It is chemical proof and the usage is simple due to the sleek surface. Automatical switch off after 5 min.